Cat Plates Collectible are a perfect way to celebrate your favorite animal's breed. 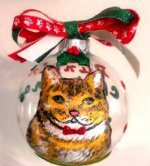 We offer a variety of cat plate designs. 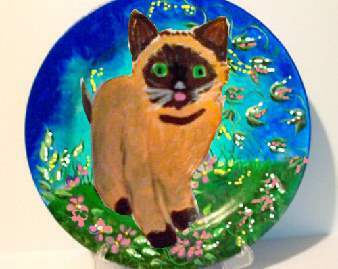 Our cat plates are original one of a kind cat collector plates that are signed, and are always popular gifts for animal lovers. 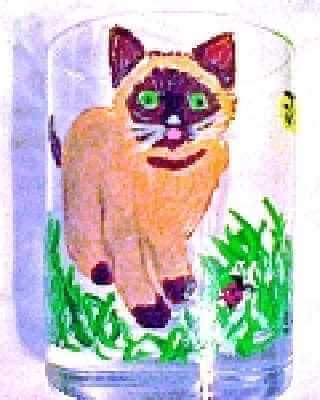 We all love our cats and what better way to preserve their picture forever then to have them hand painted on a plate or platter. Plates come in standard 10" size in either white porcelain or glass. Put request in Special Request Box. If ordering from options with different quantities, place each option in cart separately.